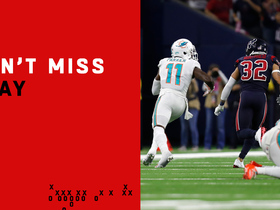 ,Osweiler threw for 1247 yards, six touchdowns and four interceptions during the 2018 season. Osweiler (back) is listed as active for Sunday's game against the Jaguars, the Adam Beasley of the Miami Herald reports. 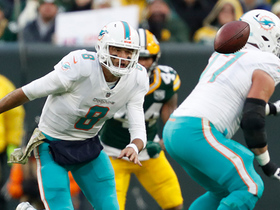 Analysis: Osweiler was a late addition to the Dolphins' Week 16 injury report, but he'll be available to back up Ryan Tannehill on Sunday, while fellow QB David Fales is among the team's inactives. 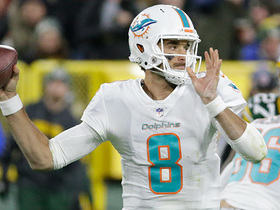 The Dolphins added Osweiler to their injury report hours before Sunday's game against the Jaguars with a back issue, Barry Jackson of the Miami Herald reports. He's considered questionable for the contest. Analysis: Osweiler didn't appear on the injury report Wednesday through Friday, so the assumption is that he practiced fully all three days and developed the back issue at some point after the final session of the week. 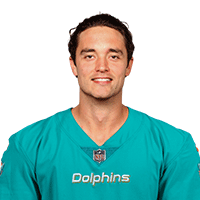 If Osweiler is unable to suit up Sunday, David Fales would check in as the backup to starting quarterback Ryan Tannehill. Osweiler is in line to serve as the Dolphins' backup quarterback Sunday against the Colts with coach Adam Gase naming Ryan Tannehill (shoulder) the Week 12 starter, Adam H. Beasley and Jordan McPherson of the Miami Herald report. Osweiler completed 23 of 37 pass attempts for 213 yards and one interception during Sunday's 31-12 loss to the Packers. He also lost a fumble. Analysis: Osweiler generated just one play longer than 25 yards on the day as he finished averaging an underwhelming 5.8 yards per attempt. 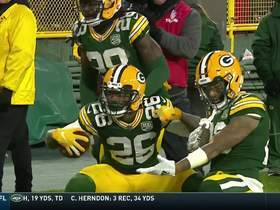 He lost a fumble on the opening drive as his team moved into Green Bay territory and threw an interception in his own end in the third quarter. Osweiler is averaging just 208 passing yards per game over the last four and hasn't thrown a touchdown in any of his last three. He'll enjoy a much-needed bye next week before facing the Colts in Week 12. Osweiler will start Sunday's game in Green Bay, Cameron Wolfe of ESPN.com reports. Analysis: The assignment comes with the Dolphins ruling Ryan Tannehill (shoulder) out for a fifth straight game ahead of their Week 11 bye. The team hopes to get Tannehill back after the break, but coach Adam Gase didn't sound too optimistic when discussing the quarterback's progress after Wednesday's practice. Osweiler will take aim at a Packers defense that's been mediocre against the pass this season, surrendering 248 yards and 1.8 touchdowns per game through the air. Osweiler seems likely to get another start Week 10 in Green Bay, Cameron Wolfe of ESPN.com reports. Analysis: Osweiler was essentially a non-factor in Sunday's 13-6 win over the Jets, completing 15 of 24 pass attempts for 139 yards. His overall performance the past four weeks has been thoroughly mediocre, but he's at least kept Miami in the wild-card race while Ryan Tannehill recovers from a shoulder injury. It makes sense for the team to keep Tannehill out until after a Week 11 bye, but coach Adam Gase said he won't make an announcement until Wednesday. 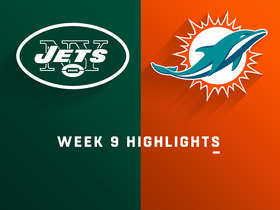 Osweiler completed 15 of 24 pass attempts for 139 yards against the Jets. He also carried three times for four yards in the 13-6 win. 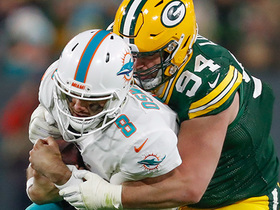 Green Bay Packers defensive lineman Dean Lowry sacks Miami Dolphins quarterback Brock Osweiler for a loss of 7 yards. 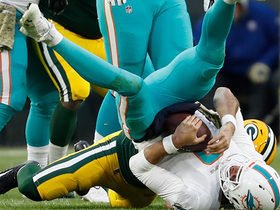 Green Bay Packers linebacker Kyler Fackrell sacks Miami Dolphins quarterback Brock Osweiler for a loss of 8 yards to force a field goal attempt in the red zone. 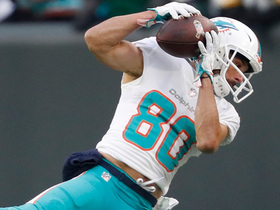 Miami Dolphins' high snap is recovered by Green Bay Packers linebacker Reggie Gilbert for a fumble. 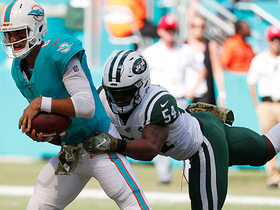 New York Jets linebacker Avery Williamson brings pressure to sack Miami Dolphins quarterback Brock Osweiler. 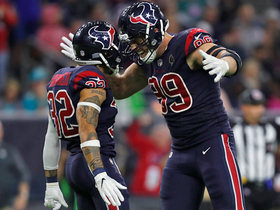 Houston Texans safety Tyrann Mathieu brings the heat on a big sack.